Our range of products include pipe repair saddles, service saddles, male threaded adapter and plastic male threaded adapter. Being a client-centric firm, we are occupied in offering a distinct collection of Pipe Repair Saddles. 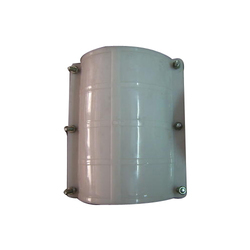 The provided saddles are used to repair the HDPE/PP/PVC pipes in irrigation industries. These saddles are designed by our skilled workforce using premium quality basic material as per the industry defined norms. Offered saddles are checked in terms of quality in order to dispatch a faultless range. We are an eminent firm affianced in offering an extensive range of quality assured Service Saddles that is known for its dimensional accuracy and excellent mechanical properties. Our given service saddles are examined on several parameters of quality for ensuring its flawlessness. These service saddles are designed by our experts, using optimum quality material as per the set guidelines of industry. Offered service saddles are obtainable in diverse stipulations as per the need of clientele. Backed by experienced and diligent team of real estate professionals, we are engaged in offering Male Threaded Adapter. 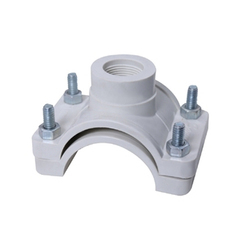 The provided threaded adapter is developed by our adept professionals utilizing modern techniques & top notch material in compliance with the set norms of industry. This threaded adapter is inspected on numerous parameters of quality so as to deliver a defect free range. 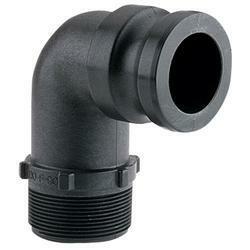 Clients can avail this threaded adapter from us in a committed time frame at pocket friendly rates. With the constant support of our dexterous crew of professionals, we are fulfilling the varied requirements of clients by providing Plastic Male Threaded Adapter. The provided products are commended among patrons for their superior performance & longer service life. These products are designed by our skilled workforce using premium quality basic material as per the industry defined norms. Offered products are checked in terms of quality in order to dispatch a faultless range. Looking for Pipe Adapter and Saddles ?